At Ngeringa, our wines are born from passion and authenticity. Our five hectare Mount Barker vineyards, The Summit and The Rufus are the centrepiece of our 75 hectare farm, where we take a ‘whole farm’ approach to winegrowing. The Iluma Vineyard, also planted on the original biodynamic soil of the Jurlique property, is just two kilometres away in Nairne. Ownership of the vineyards from which our fruit is harvested ensures full control over the whole winegrowing process and the resulting fruit quality, each season. 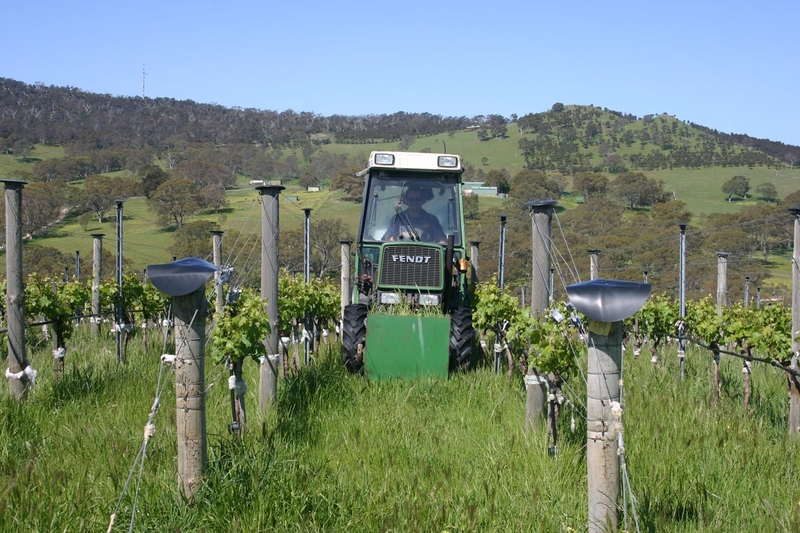 Ngeringa has been certified biodynamic for more than 20 years. It is the biodynamic process that creates a balanced and healthy relationship between soil, plant and all living beings – and opens the vines to optimum expression of flavour in the glass. Every wine is truly handmade. Our vine holes are dug by hand and a handful of homemade compost placed in each hole as “fertiliser”. Each vine is hand pruned as an individual, as each has slightly different structural needs. Through small batch winemaking, we use attention to detail and try not to overpower what the grapes are trying to express. Chemicals are never used and our vineyard is 80 percent solar sufficient. We work with the seasons, not to a delivery deadline. The simplicity of biodynamics produces an extraordinary result, time and again. The simplicity of biodynamics opens the vines to optimum expression of flavour in the glass. At an altitude of 360m, this vineyard on the cooler easterly facing slopes in Mount Barker commands a view of Lake Alexandrina and the mouth of the mighty Murray River in the distance. The vines reliably receive cool air each evening and the soil is a light sandy loam over clay with areas of red ironstone. Select clones of Chardonnay and Pinot Noir are planted here, along with a few clones of Syrah and Viognier. A small planting of Sangiovese, Nebbiolo, Syrah and Aglianico is positioned on the westerly slopes of our Mount Barker Springs property. Distinctly different to our other vineyards due to its aspect, open exposure and tough, lean ironstone soil, The Rufus challenges the vines to produce highly concentrated fruit in minimal quantities. Regardless of day time temperatures, Ngeringa receives cool evening sea winds blown in from the southern sea over the Murray River – a wonderful natural aid for our fruit acids and flavour development. On the northern slope of the Mount Barker summit, at an altitude of 420m, is The Iluma Vineyard, the home of our most inspiring and exciting fruit. The majority of our Syrah and Viognier is planted here, facing west on a lean, textured soil of micaceous schist and ironstone over clay on the Nairne terroir.